Need a culture set to show the common shapes of bacteria? These 3 bacteria represent the common bacterial shapes of rods, spheres, and spirals. The 3 species grow well on nutrient agar and can be viewed using 450x magnification (high power). 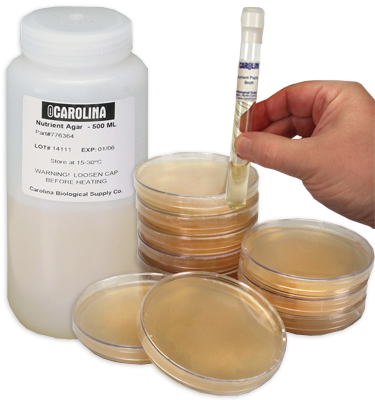 Cultures available as plate cultures (tubes available with #154755). Includes Bacillus subtilis (rods), Micrococcus luteus (spheres), and Rhodospirillum rubrum (spirals).